Been a couple of months since I’ve been able to throw out an update. A whole lot has changed in the world since September, then again, so much has stayed exactly the same. If you I can get you to recall, back in September I released a single called Thump Thump Thump. I followed it up shortly thereafter with a 2nd release of Thump Thump Thump [remixes]. There’s been some great buzz surrounding those releases and I’m really looking forward to making more cool announcements about that song and its remixes before too long. I’m very thankful that people have been taking to the song. Was definitely hoping to throw out some really cool news regarding Thump Thump Thump, alas I do need to wait until it confirmed. Then in mid October I released another single titled American Mayhem. If you can’t tell by the title, it very much is a reflection upon the current environment of American politics. While I don’t fancy myself to be a political musician, this song does capture a vibe that resonates with the odd separation that was occurring during the election process. Not written about voting and yet it very much feels like something us 99% can relate to as compared to the 1% and those who are part of the upper 1% of the 1% (wrap your head around that one). This one is also starting to climb the streaming ladder. So I’m thankful people are listening. If you’ve been a fan longer than the past two months, then you’ll likely notice that there’s a new look to the website. I did a quiet launch of the new website yesterday. This is probably the longest break I’ve had from making updates. Its also the first time where I decided to hire outside help to create a whole new look, feel, and functionality. So I have to say thanks to Dave Bloom of Ginger Soul who spent a lot of hours working on bringing this new design to life. There are still some cool tweaks to be coming, but at long last (because to me 2 months is a long time to spend on a website design) – the new look is here. The really great thing about it, it looks great on all devices. Plus more detailed information will be coming to the music section. The next season of Nightwatch begins on December 1st. I’m thankful for that as the theme of Nightwatch – Midnight Romp, was crafted by yours truly. Its been awesome to see people react with such a positive vibe to the show and the music that opens it. Plus its allowing me to get some things done more easily. There’s more news to come about Nightwatch in the not so distant future, alas, have to wait on confirmation before I put it into permanent print on the internet and social medias. I will say that I’m excited. The image to the right is a throwback Thursday image of my sister and I. 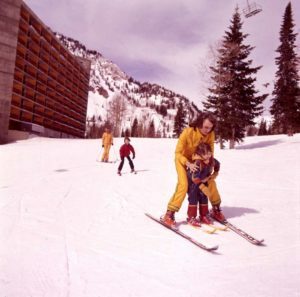 My parents were avid skiers and this is them (in yellow) teaching my sister and I to ski at Snowbird Utah. Funny how I can recall that I hated it so much initially. Then years later went on to win multiple competitions in racing and freestyle. Now I get to enjoy it for the fun of it. I’m excited to be able to get to do a bit more skiing this year. 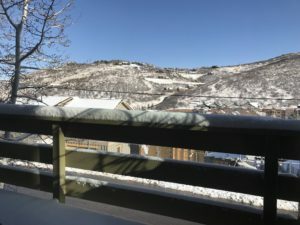 Decided to purchase a season’s pass, aka an Epic Pass, to vail resorts. 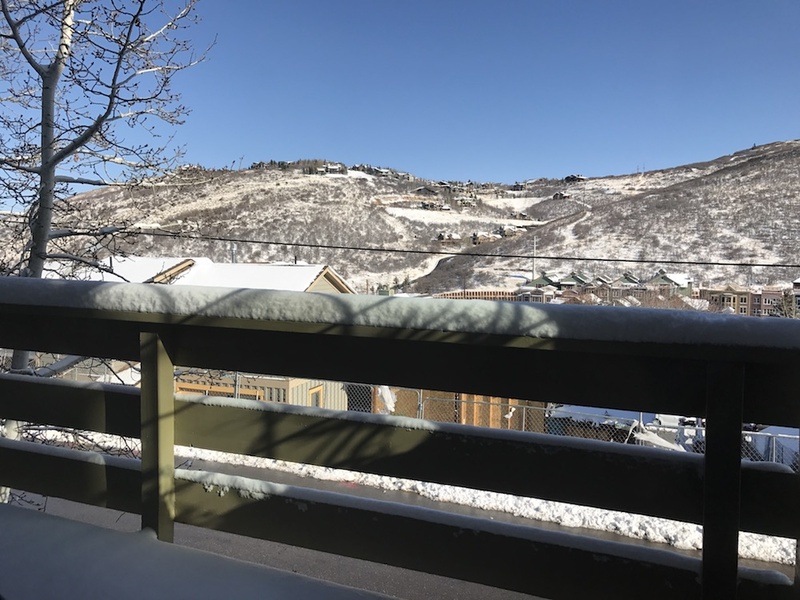 It means that while I’m working on booking shows for 2017, creating new music, and producing other artists, I’ll be taking some time out to hit the slopes and rip some pow. Or get out for some fresh air while carving some serious high speed turns. This will result in getting me amped up for new songs. As we all start to reflect on 2016 and think about where we’re all headed next, there’s a lot to be thankful for. For me, its the amazing new music I’m churning out. The people I met earlier this year while working on a film that will release in 2017. The awesome woman I’m dating. And for the good things that are in the pipeline that I’ve created for you. Hopefully we can all get beyond the bizarre election and move to a happier, healthier and safer world in the months and years to come. 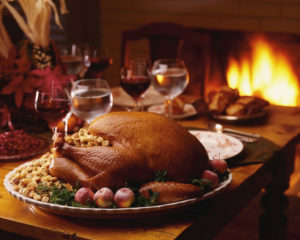 Happy thanksgiving and may it be filled with awesomeness.